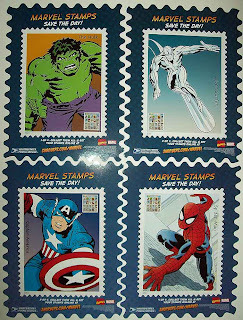 MARVEL STAMPS (and DR. 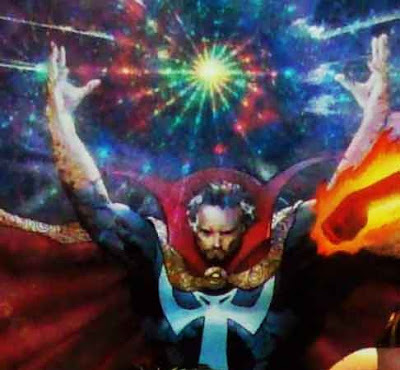 STRANGE) SAVE THE DAY! This is the 2nd in a duo of blog posts pertaining to Doctor Strange / Marvel swag as produced by the United States Post Office. 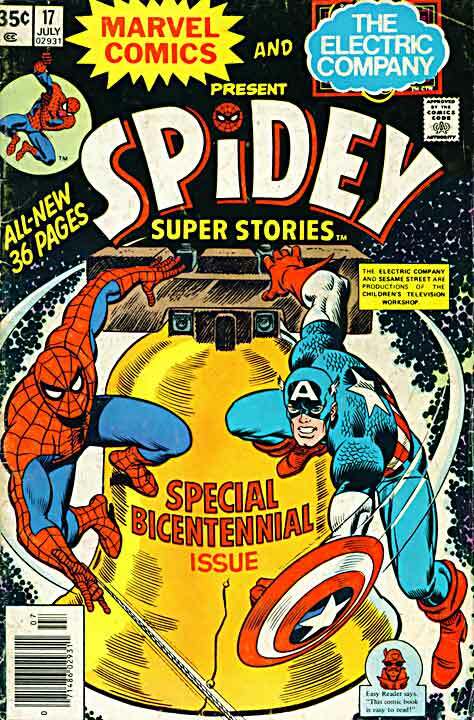 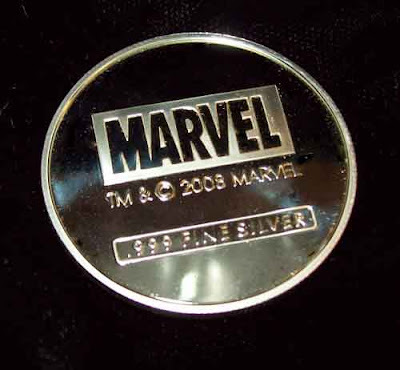 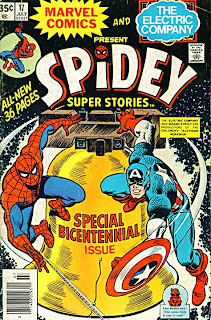 (The first entry – featuring a solid silver “Ultimate Marvel” coin series can be found [HERE]). 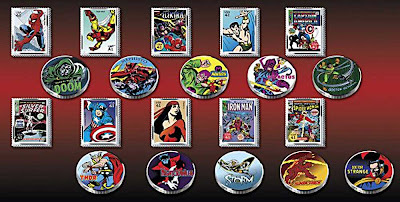 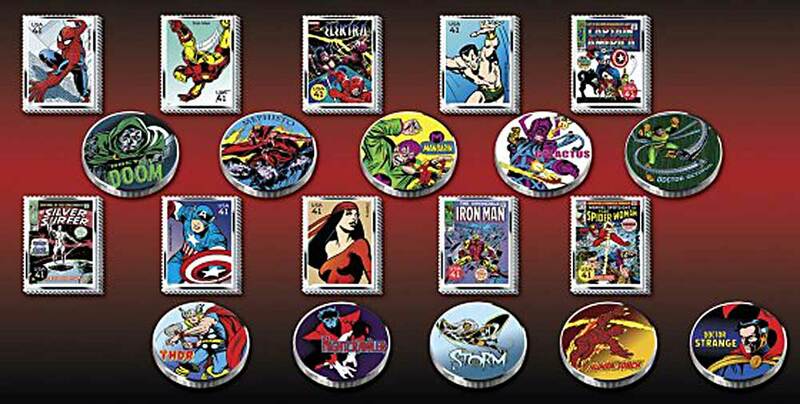 As we showcased in that most recent article, Marvel (and Doctor Strange specifically, for the nature of this blog) had a series of solid silver Coin Medallions and Ingot Stamps minted by the United States Post Office to help celebrate the series of Marvel Comics postage stamps which were released at the time (2007). While the actual push was for the commemorative First Class stamps featuring Marvel Super-Heroes and Villains, as drawn by Marvel artists (in nearly every case taken directly from the comics or utilizing the cover art itself), it was the promotional material that led to the big score for this Doctor Strange fan/collector. 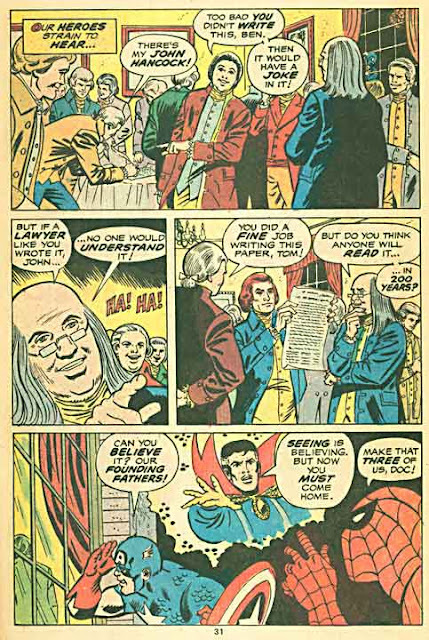 For while Doctor Strange was not a part of the actual US Post Office stamp sheet, he was one of the characters selected for inclusion in the ancillary offering (the aforementioned silver coins and ingots), and as such was included in the promo materials which were released by the Post Office to help sell the stamps. 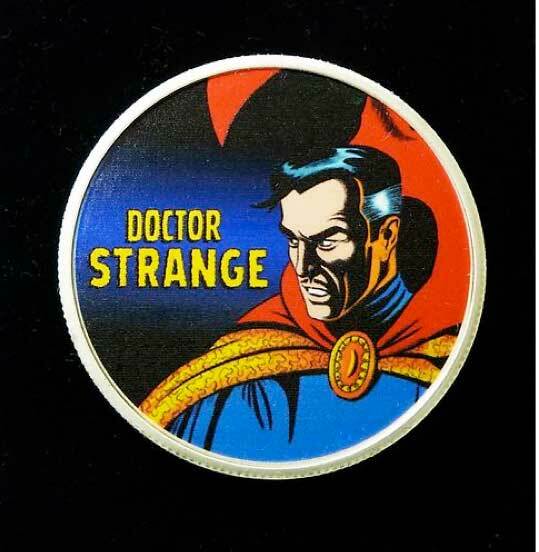 As many a Doctor Strange collector can attest when it comes to Marvel collector swag; “always the bridesmaid, never the bride”… or maybe to keep the Postal theme alive; “not 1st class… but Bulk mail”. 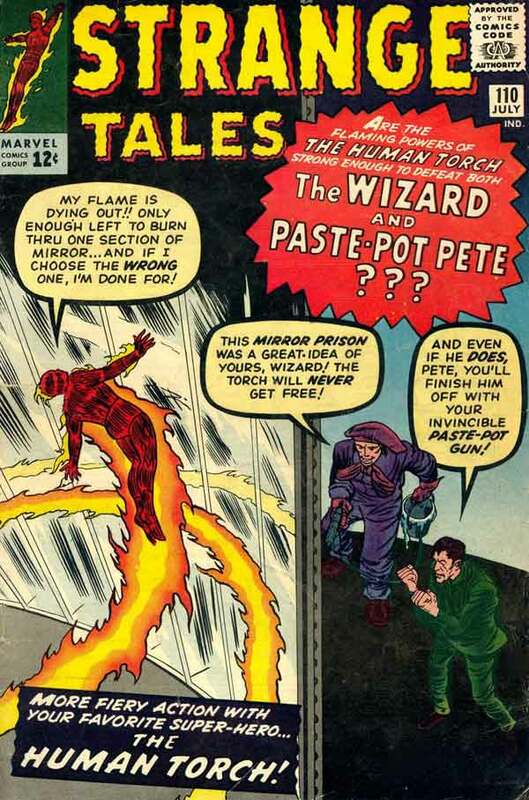 Allow me to present to you the promo material at this time. 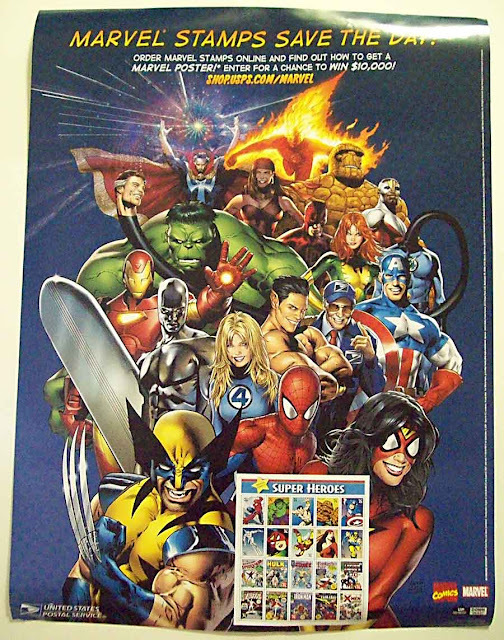 If you were to walk into a Post Office in early 2007, you may very well have been met with this large poster, featuring many of the Marvel heroes as traced over photos – er – “drawn” by Greg Land. I don’t know who Land used as a model for Namor, but he is so disgustingly, annoyingly smug-looking that I want to punch him in the throat. 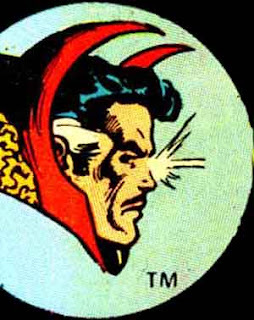 So… PERFECT for Namor! Just saying. 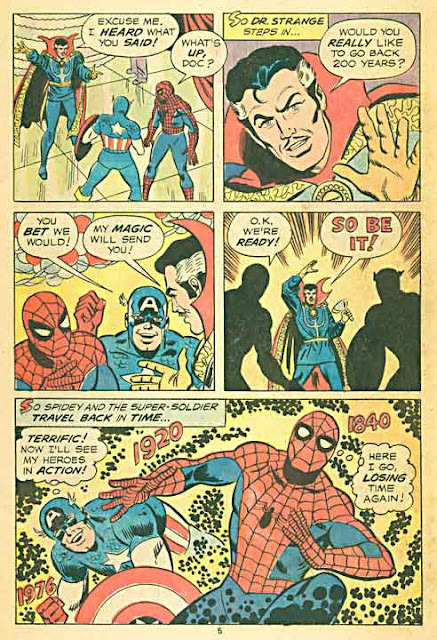 However, like anyone who has seen any other Greg Land piece, the poses and faces are instantly recognizable as being re-used from other works. Almost any Greg Land X-MEN cover uses that same Wolverine pose. 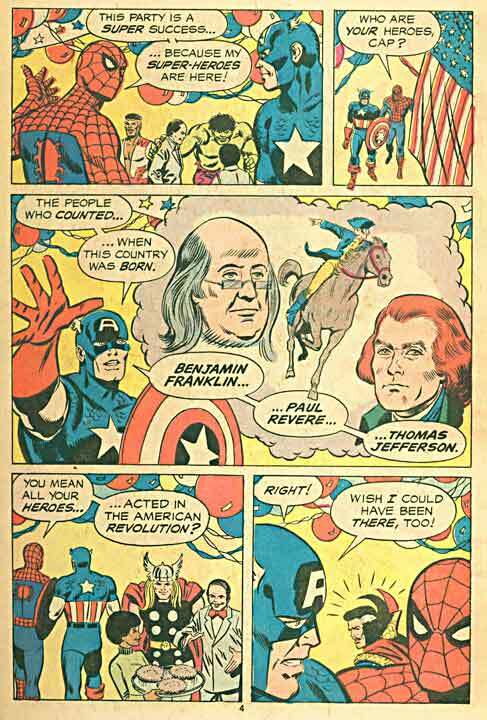 Just saying that, too. 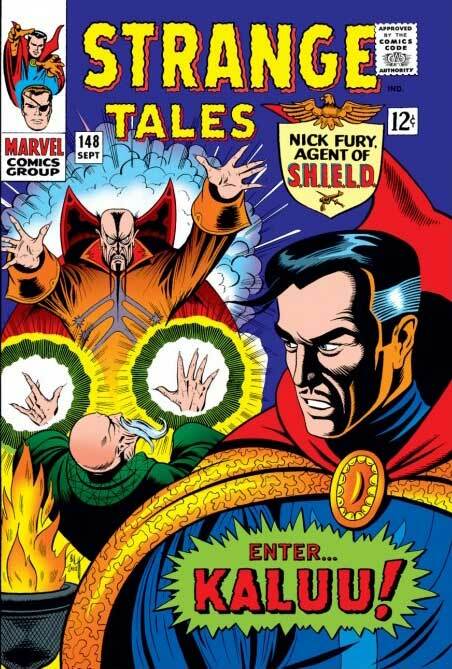 And while I'm at it... why is Doctor Strange's head smaller than his hand(s)? 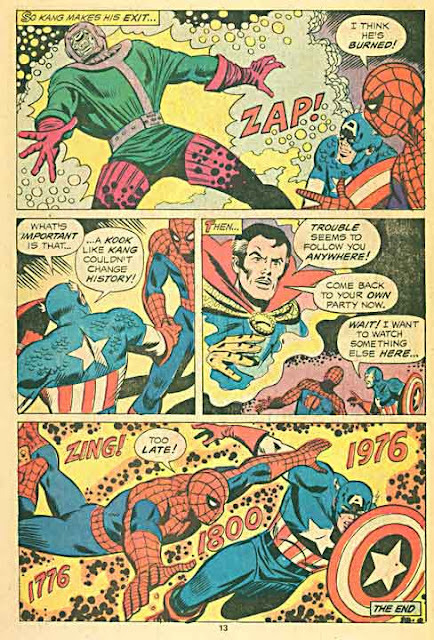 Look at the GUN SHOW he's pulling off there, too! 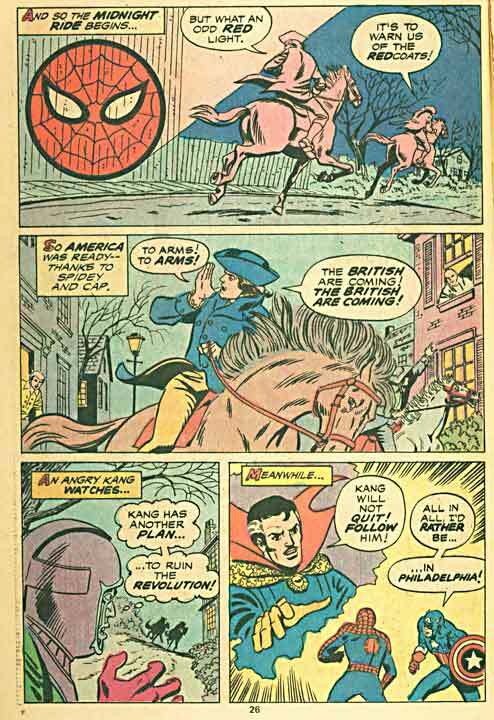 Damn... Land really doesn't care that not every male hero can be traced from "men's fitness" muscle magazines. 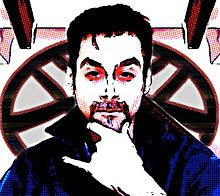 Anyway... it is this artwork that is utilized on all of the promo materials. If you were to continue up to the counter at your previously alluded-to Post Office, you may have been able to see this “3D” standee dump. 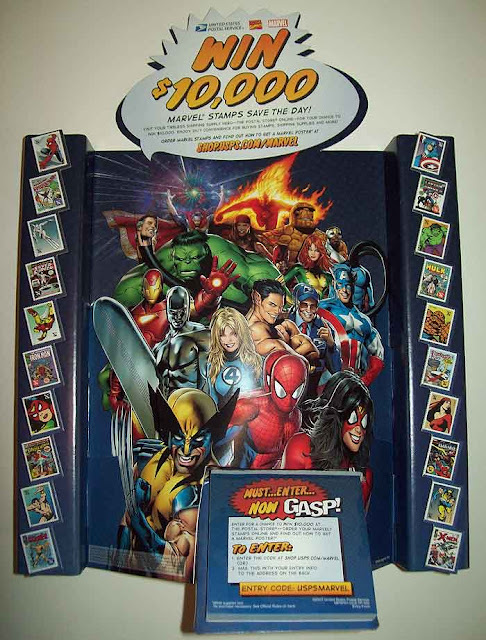 With raised images of the featured stamps flanking the unit, it is printed using several overlaying layers of artwork, thus giving the appearance of being “3D”, with each row of figures appearing closer and closer, until the figures in the foreground “pop” out closest to the viewer than those in the subsequent layers. 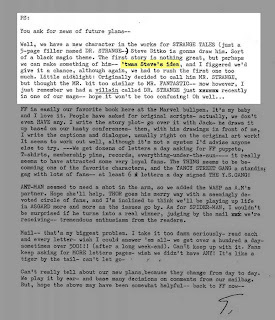 You can almost smell Wolvie’s sweaty aroma from your computer, can’t you? 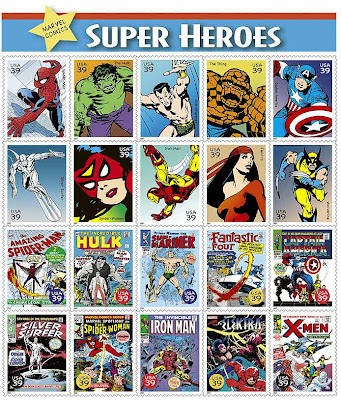 At the front is a pad of tear-off contest entry forms (winner would win $10,000… good only at the Post Office Store. 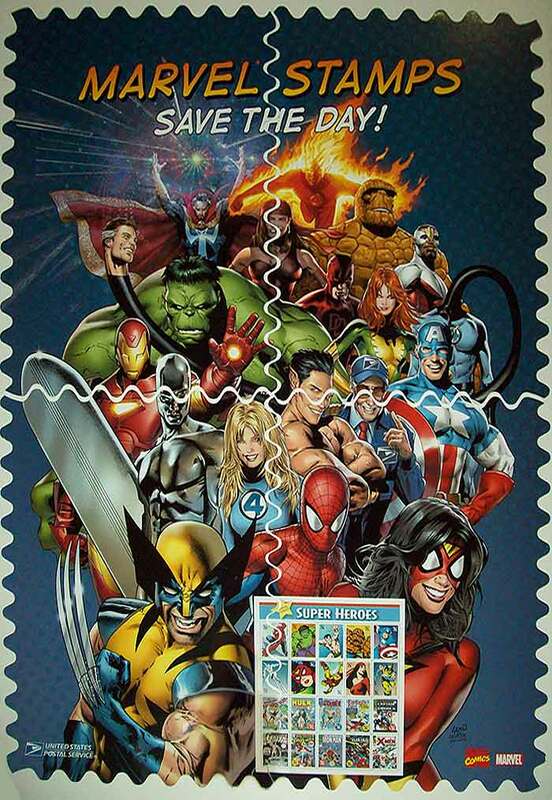 Dang… that’s a LOT of stamps). 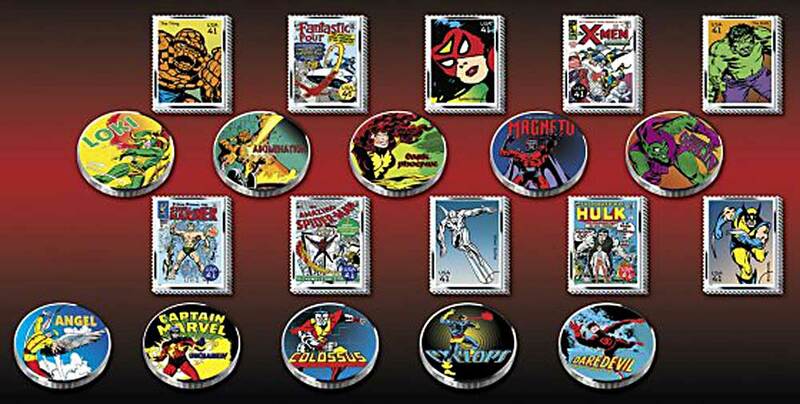 However, those two items may be the only ones readily viewable by Postal patrons, as the rest were not meant for display. The following is a 2-sided, 4 piece, over-sized jigsaw puzzle which may have been meant as a give-away to anyone who bought the most Marvel stamps (or perhaps was an intended prize in some kind of promotional contest). 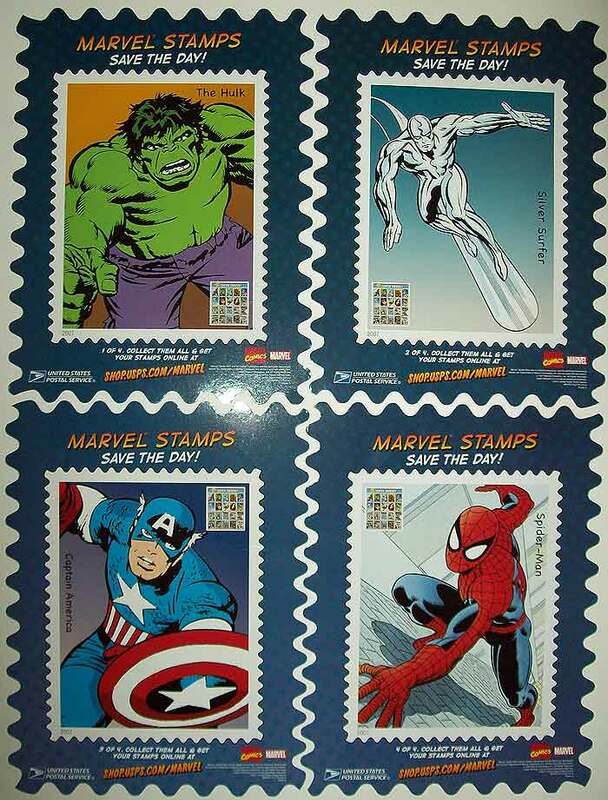 On one side are 4 different enlarged Marvel stamps: Hulk, Silver Surfer, Captain America, Spider-Man (not that I can believe I’m saying this, but to have the Surfer instead of the more recognizable Wolverine makes little sense to me. 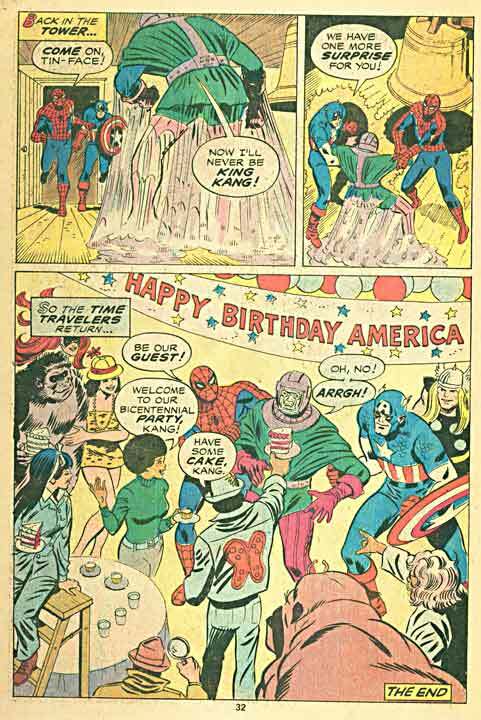 Perhaps the choice was made by some aging hippie postal worker, fondly remembering licking acid off of Silver Surfer LSD stamps back at Woodstock… I dunno. 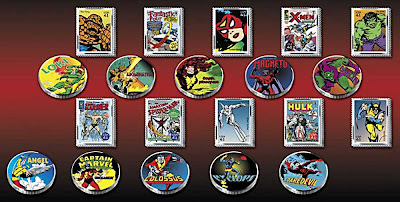 But then, on a similar note, WHY would the choice of Elektra be made for the actual Stamps over any other, more worthy and responsible “role model” heroine? Certainly, Ms. Marvel [an Air Force Colonel], Storm [the first major African-American Female character], Invisible Woman [a mother – who happens to be a career adventurer] or even Kitty Pryde [youthful, genius, minority, role model] would have made more suitable choices than a returned-from-the-dead assassin?}). 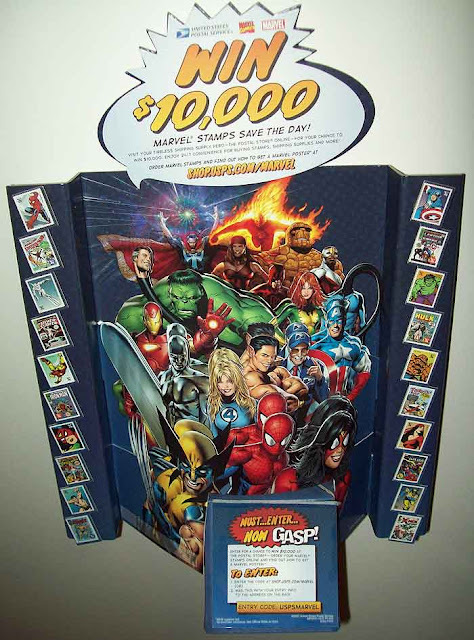 The other side (and the actual “puzzle” aspect of the jigsaw) features the Greg Land group shot. 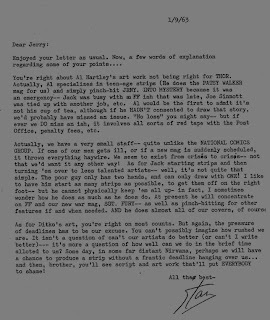 Lastly, and the rarest item of all, is this Postal Bulletin magazine, meant for the eyes of the Postmaster (and maybe a few clerks) only. 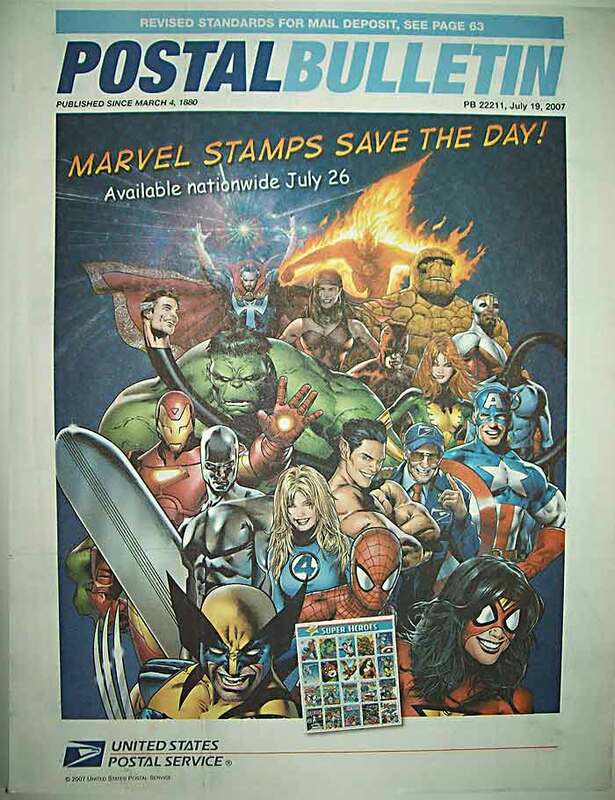 Within its pages are boring – er… detailed articles and charts discussing not only the Marvel stamps initiative, but those of so many others at the time. 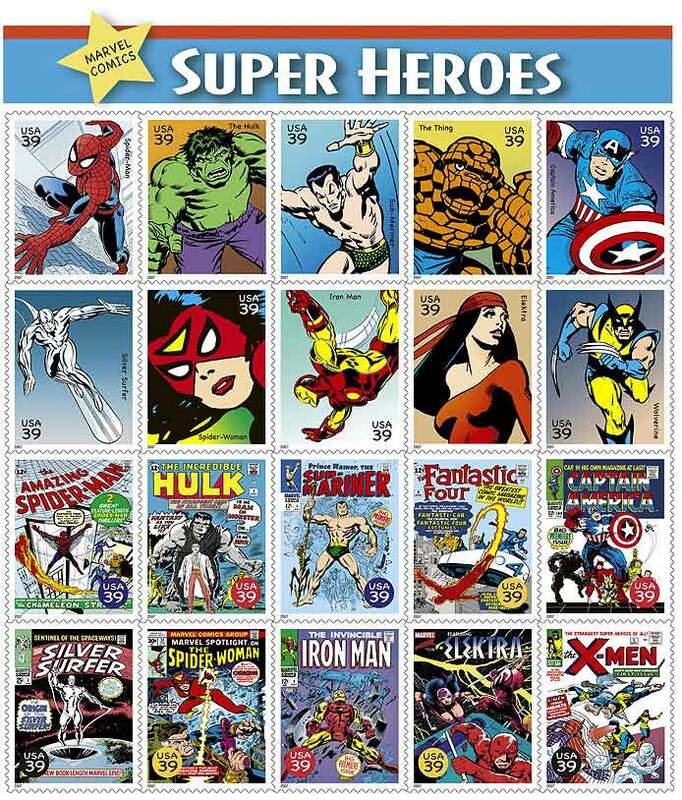 As you can see from the cover, the stamps were made available nationwide July 26th, 2007 – which is not wholly coincidental as to why I have chosen this time to showcase these Post Office items now. Everyone says that. Myself included. Don’t let me fool you otherwise. 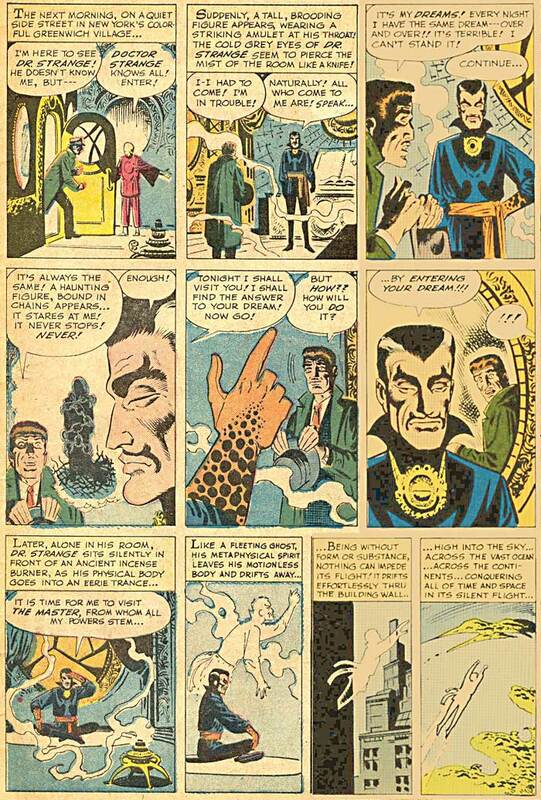 50 YEARS of DOCTOR STRANGE! 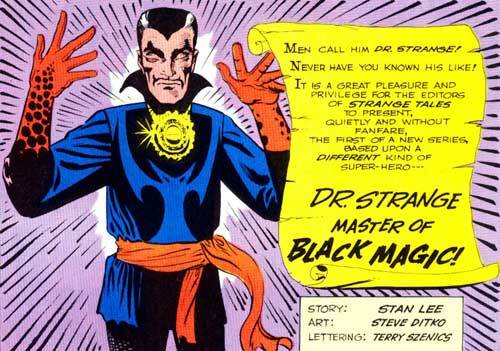 No top hat or stage-magician's tuxedo. 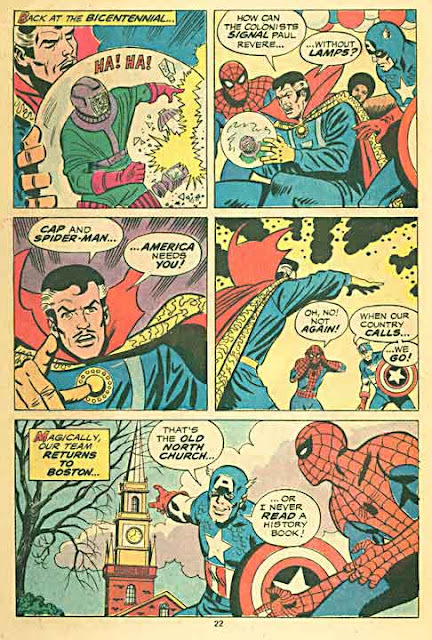 "MEN CALL HIM DOCTOR STRANGE! NEVER HAVE YOU KNOWN HIS LIKE!" 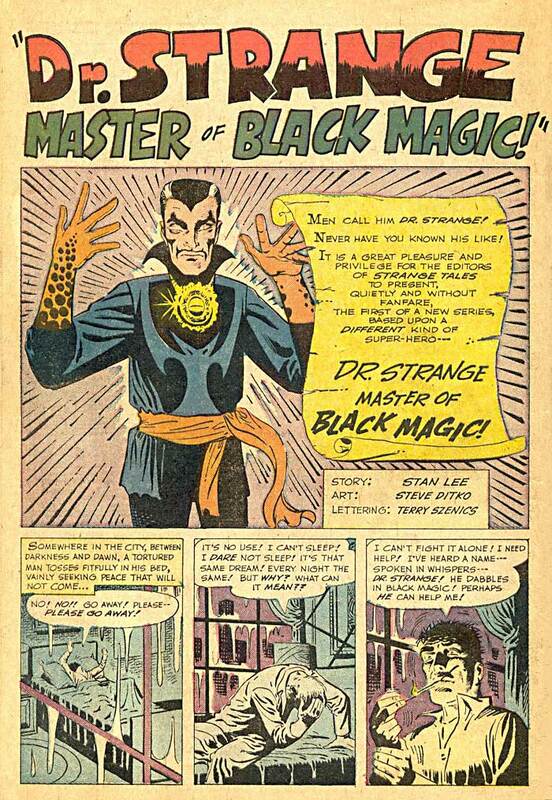 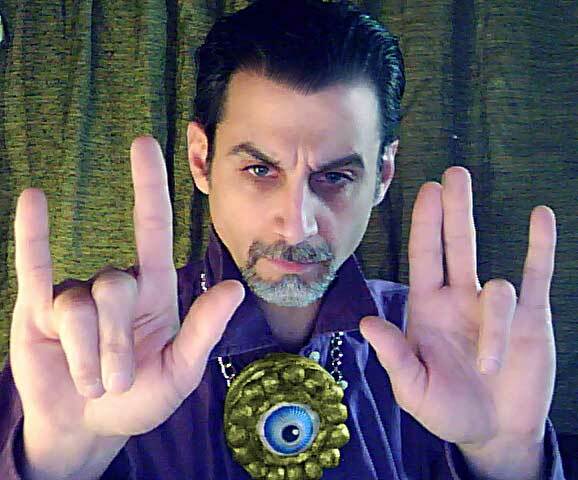 DOCTOR STRANGE: MASTER OF BLACK MAGIC! s THAT for cosmic coincidence?!?)... 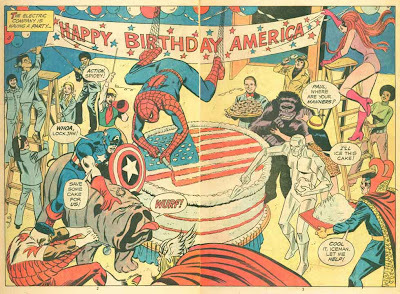 but the cover says JULY so in JULY do I post my official commemorative post. 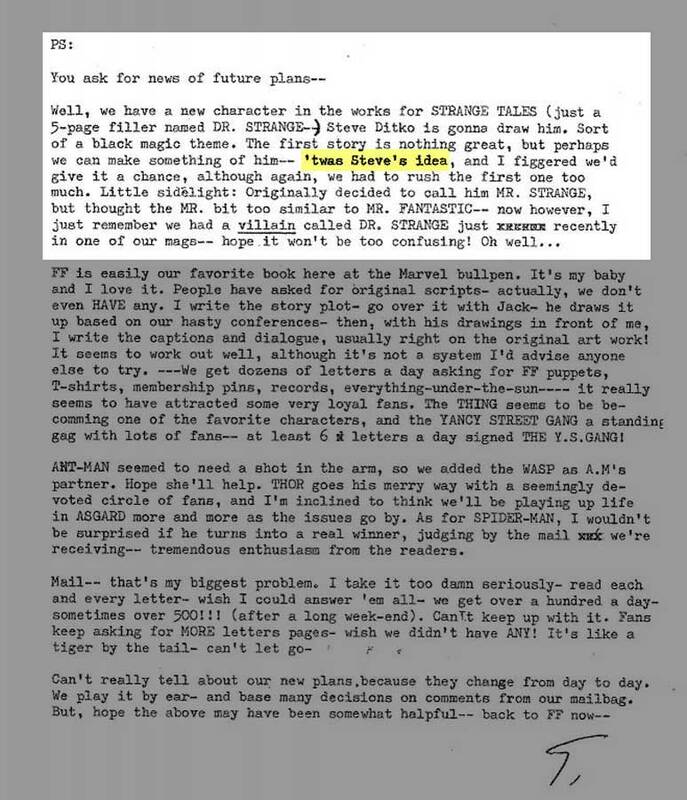 Now, while Stan Lee may like to lay claim to creating most, if not all of the characters that he wrote, in point of fact, he did NOT create DR. STRANGE! 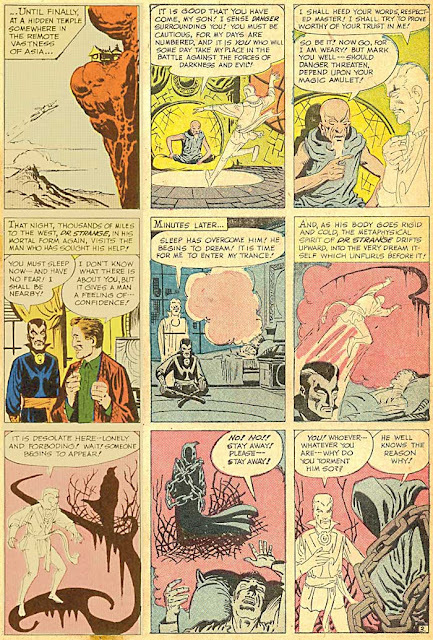 Certainly, in later years, Lee would repeat an oft-told tale of how when he was a youth, he would thrill to the radio-show adventures of a magician named; Chandu the Magician (replete with resounding gong sound effect), and that was what he used as inspiration in the creation of the Master of Magic. 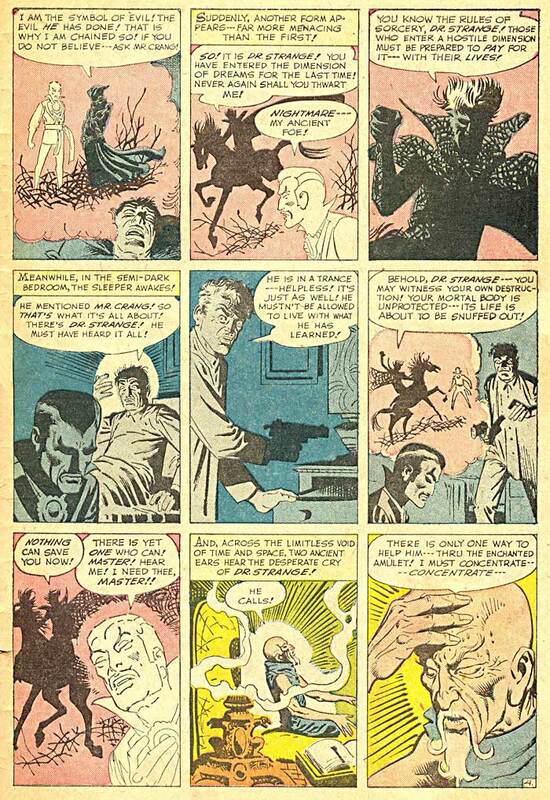 However, while he may have used Chandu's exploits as inspiration in his scripting of the first few issues, it was well known that STEVE DITKO was the true creator of Doctor Strange! I'll leave it to the plethora of comic historians greater than I who have already laid out the copious details of Ditko's mind-works in the storylines and visual references therein, and how these would have been far removed from LEE's usual stock-in-trade. Better I merely let the words of Stan Lee himself serve as proof. Of course, without the Awesome Alliterative Assistance of Stan the Man, Doctor Strange may not have become the complex comicbook conjurer that he would turn out to be. 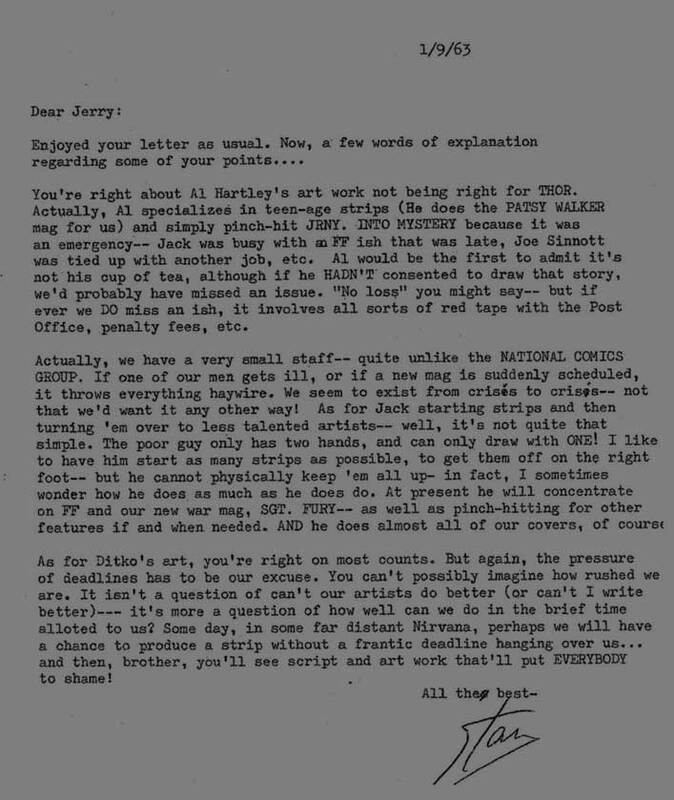 As the letter also reveals, the character was originally going to be called "MISTER STRANGE", but wishing to avoid confusion with "Mr. 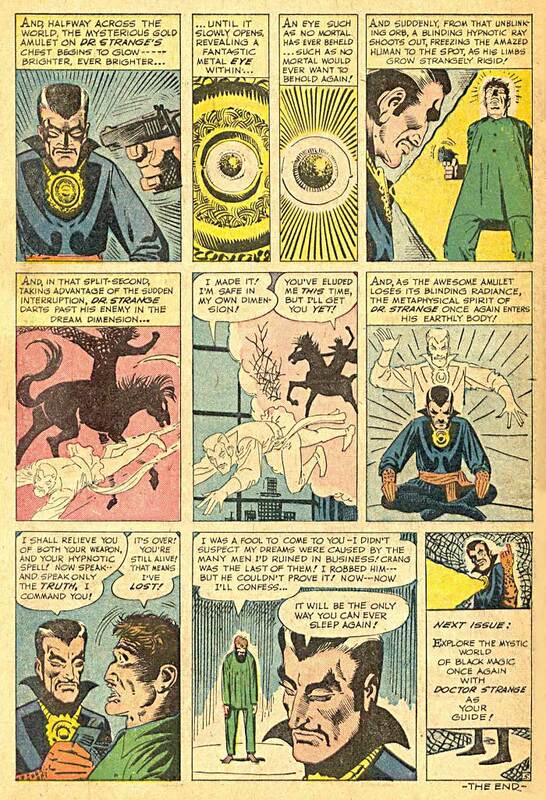 Fantastic" Stephen Strange was made a Doctor. There's no telling if or how the lack of the "Doctor" title would have affected Strange's story, but it would seem likely his origin tale would be slightly altered.